Note: this hymn study is not of the music since I am musically illiterate! This is a study of the hymn’s words as they reflect confessionally the Scriptures for our edification. About Johann Franck: He ranks second only to Paul Gerhardt (Lutheran Service Book, LSB, #334, # 360, etc) as a hymnwriter, was one of the writers who marked the transition from the objective German “church song” to a more personal and mystical kind of poetry, yet Franck’s hymns are based on the solid rock of God’s Word of Law and Promise, as we can read and sing in his hymn above. He was also a writer of secular poetry of some renown during his time, but it is his hymns, finished in form and of earnest faith and simplicity, that have survived. Of these he wrote 110. Franck’s most known hymns are both in Lutheran Service Book (LSB): #636, “Soul, Adorn Thyself with Gladness and #743, “Jesus, Priceless Treasure”. Born June 1, 1618, at Guben, Brandenburg, Germany, Franck was two years old when his father died and he was adopted by an uncle. He received his education at the University of Konigsberg, the only German university not disrupted by the Thirty Years’ War. There he formed a friendship with Simon Dach and Heinrich Held (LSB #352). He became a lawyer, as was his father, and after some travel, returned to Guben, where he became a councillor, a mayor, and finally a representative of the province to the Diet of Lower Lusatia. He died June 18, 1677. (adapted from Hymnal Companion to the Lutheran Book of Worship, Augsburg-Fortress Publishing). Lord, I tremble at Thy terrors”. Implied in that stanza that it was the Lord Himself who so claimed him as a child and you as well, by His grace alone. He did so for all to see, and for thee upon the Cross. Above is the second stanza of “What is the World to Me”, #730, Lutheran Service Book. A longer and older version of this hymn can be found here. We sang “What is the World to Me” this past Sunday and when we came to today’s stanza , and the phrase regarding the world as “frail and flighty”, I had to suppress a chuckle. “Frail and flighty” are last words used to describe the world by the unregenerate Old Adam in it. It is usually “strong and mighty”. I think it is the word “flighty” that tickled my funny bone. “Flighty” as in flitting about from one thing to another, always looking for something else; synonyms are: fickle, inconstant, mercurial, whimsical, capricious, skittish, volatile,impulsive. What makes one laugh is the ironic truth behind any kind of joke or humor. The world thinks it is strong and mighty, stable, and never once reflects it is frail and flighty. It seeks, “…to be praised”. The Lutheran Book of Worship was begun in 1965 and then published in 1978. “What is the World to Me” was not included in it. Why? My speculation is that this hymn was too much on target because the Lutheran churches were trying to be more acceptable to the world and note the time era of the construction of the LBW: the 60s. When a church tries to emulate the world then it too is flighty, that is, in flight from God’s Word. The flightiness of the world is seen in the very medium with which I am communicating to you. The internet is one thing after another, latest meme, update, important article, status update, all faster than a hummingbird going from flower to flower. Now this can be fun, but like any of men’s tools it can be a tool of devil to conform us to the world and continue in slavery. A hummingbird is flighty in order to eat, while we are flighty in filling ourselves with world’s junk food of self-centered ‘wisdom’ to always be looking out for number #1. As it is written in the cited 1 John passage above, the world is, “…is passing away along with its desires”, yet the world and it’s rulers, both elected and non-elected, all the omni-competent elite, think the world centered on the world is going to last forever. It won’t. “And the world is passing away along with its desires, but whoever does the will of God abides forever.” Yet this very world is the one the Lord so loved He gave His only-begotten Son (John 3:16) The will of God is to believe the One He has sent to save us from the world and to serve the Lord and our neighbor in the world . 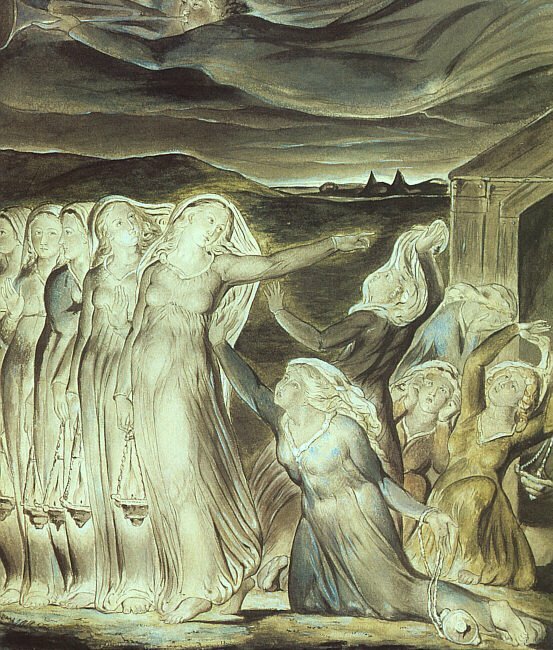 “For all that is in the world—the desires of the flesh and the desires of the eyes and pride of life—is not from the Father but is from the world.” Idolatry is always worshiping what is seen, “the desires of the eyes” while faith comes from what is heard, and what is heard is the Word of Christ (see Romans 10:17). 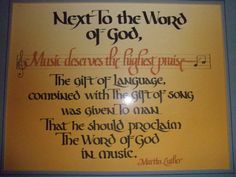 We can not hold a sound of a word, or the Word, in our hands, but instead the sound of the word comes into us. The Lord by His Word puts this struggle of the Word with the world in our hearts, souls and minds, that we are not conformed to the world, but are transformed by the renewing of your mind (Romans 12:2), which is yours in the crucified and risen the Lord (cf. Philippians 2:5 ff). Intro: I am choosing hymns this morning and I ‘discovered’ this hymn and in my opinion, a gem: “God’s Own Child, I Gladly Say It”, #594, Lutheran Service Book. On a Monday morning, this is a good thing to remember and sing: “I am baptized”! In fact, this is meet, right and salutary to do so everyday as we pray, Our Father who art in heaven. After the video, there is more information about the hymn, including the lyrics, from Witness, Mercy, Life Together. The full article is found here. The lyrics were written by Edmann Neumeister (also LSB #587, #609) and published in 1718. Neumeister was a German Lutheran theologian, poet, hymn writer, and strong opponent of Pietism and is best known for writing the texts for five of Bach’s cantatas. The hymn was translated … in 1991 by an LCMS pastor, Rev. Robert E. Voelker who was a graduate of Concordia Theological Seminary Fort Wayne (1984) and, according to the LCMS church worker directory, currently is a pastor at Gethsemane Lutheran Church in Windsor, Ontario. Reflection: The last fad in music for a congregation was “Christian music”. My response was, Yes, I love Christian music, like Bach! And on this day we sing to the Lord in the words and music by the 3 great Lutheran hymn writers commemorated today and it is all thoroughgoing Christian and Biblical music. Now the latest buzz phrase has been: “praise songs”. A colleague reminded me yesterday of his response which is also my wife the organist’s: ‘We sing praise music every Sunday!” Listen to the hymns below! As friend and colleague once would say: “Lutheran hymnody is my glossasalia.” Just think: these hymn writers and pastors were probably not paid a cent for their hymns, fought false doctrine and disease and the devil, and in the midst of all that, in the Lord they had joy to sing and pray. We give thanks to the Lord, the Conductor of the “choir immortal” (from “Wake, Awake”), also for all church organists (underpaid and being squeezed out by contemporary worship), church musicians, choirs and the Lord’s people who sing their praise of their Lord through hymns replete with the Scripture, that is, the Word of God and so the Holy Spirit. Pray for your organist, choir director, choir members and church musicians in petition and praise to the Lord and tell them all this Sunday: thanks!